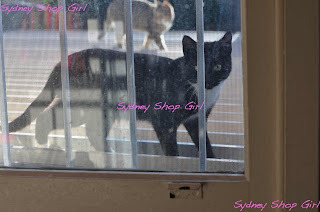 Sydney Shop Girl: Everything Around the Kitchen Sink. Today's post is a link up with The Hostess of the Humble Bungalow's View From the Kitchen Sink Project. As you've probably come to realize, the kitchen at SSG Manor is set up for utility and speed cleaning rather than to be a beacon of culinary interior design. I haven't included a photo of my actual kitchen sink because I think the one in your imagination would look much more attractive than the bog standard double basin stainless steel affair that I have. Still, it's my kitchen. The chips in the paintwork and the mish mash of random objects that collect on the bench make it a place that always feels familiar and comforting to me. The stray splatters on the flush back and the chunk out of the gas burner bring back fond memories of past cooking adventures. The Coles magazine has an excellent pear and chocolate cake pudding that I'm planning to try this weekend. It's more an assembly job than a recipe but I'll let you know how it goes. The recipe book holder overflowing with magazines, print outs and cook books promises many more interesting meals to come. As an aside, has anyone seen those Clearwipe lens cleaners anywhere? I bought one box a few weeks ago, have used them all and they are now NOWHERE to be found. Please comment if you know which of the supermarkets has them. 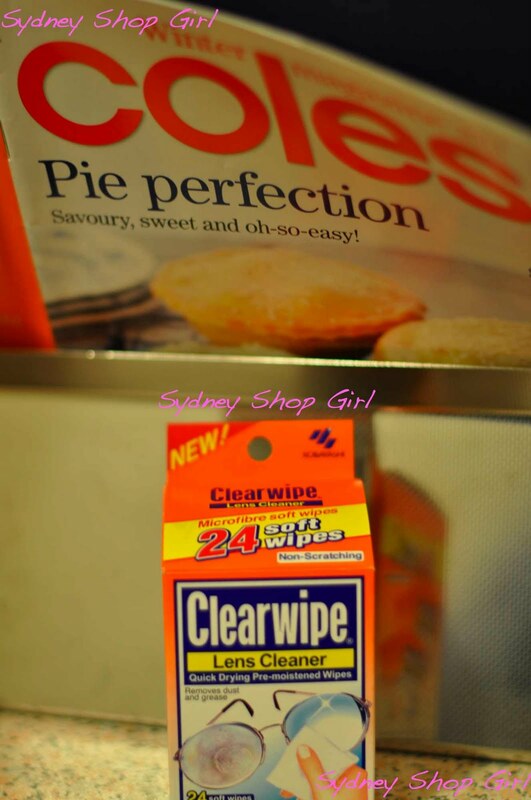 I am unable to clean my glasses properly with a good old fashioned lens cloth and spray. Totally inept. During the day, the kitchen windows are 1/4 (precisely) open and a gentle breeze sneaks in or the sound of rain. Both are welcome. The famous felines of the neighbourhood often saunter up to me from behind the glass, fixing me in the gaze of their eyes. The bench tops around the sink are where all the action takes place. 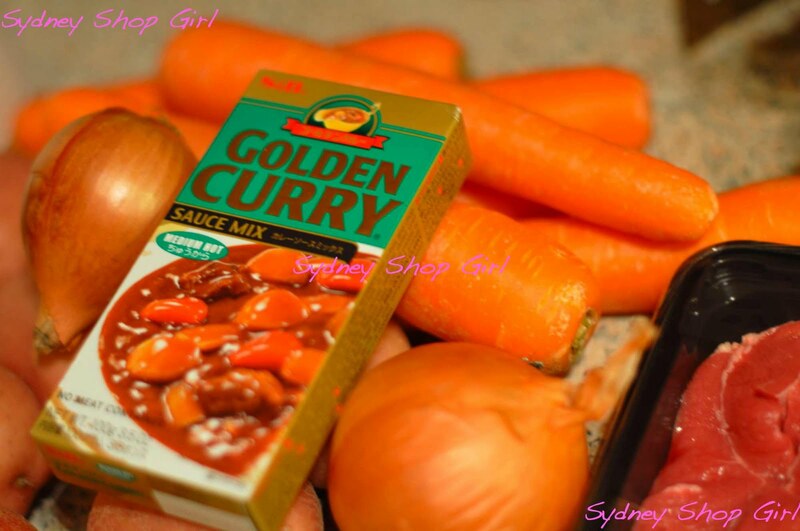 Tonight, I'm getting organized for another big batch of slow cooker Japanese Curry. All I need to do tomorrow is empty out all the chopped things and the mix into my slow cooker and turn it on before driving to work. It's best served with steamed rice to a hungry stomach after a long day at work. The cooked curry is one of my favourite smells to come home to in the winter. 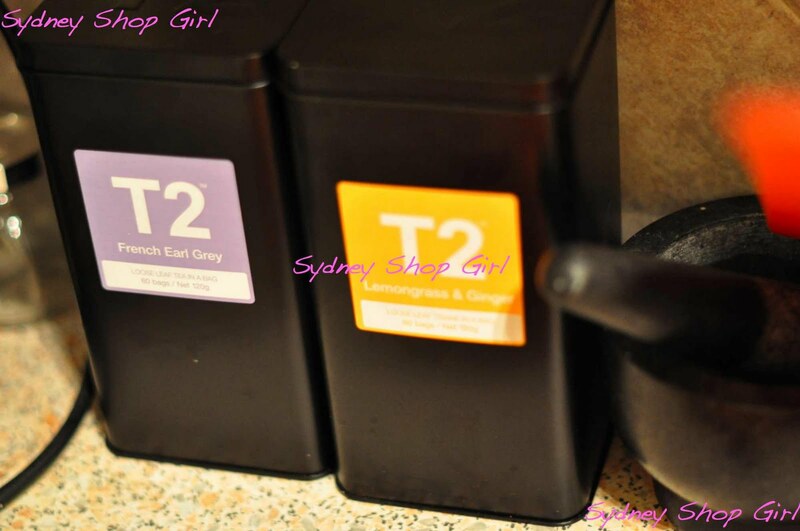 Just behind dinner prep is my pair of T2 cannisters. Great to either wake up to or have before before heading to bed. I'm going through an 'of course I can give up coffee' phase at the moment and my secret weapon is going to be an aresenal of T2 teas for work and home. Day one of decaf is not going well. I started the day with my usual Wednesday coffee cart coffee but it was a decaf skinny cap. That's a bit like caffeine free Diet Coke, isn't it? Pretty pointless. Anyway, I think I'm just going to stick to teas from now on and yoga my way through the headaches and malaise. A furniture store that survived the air raids of WWII only to be demolished in a few hours at the hands of rioters. Some way off from the sink, in the lounge, sits the television. These riots in London and beyond are absolutely shocking. That people can create such havoc and senseless destruction against their own is beyond belief. They talk of sticking it to the police, the establishment and the rich. But who are they really hurting? Honest, hard working and law abiding fellow Brits. The commentary in Australia has made much of the fact that perhaps the reason this is happening in the UK is the way socially disadvantaged and migrant populations are treated there as opposed to in Australia. In the UK the socially disadvantaged are often grouped together in public housing projects away from other segments of the community. There are no (or few) nationwide government funded programmes to help recent migrants with English and to adapt (as opposed to assimilate) to a foreign culture. Could it be these factors that created the fuel for the current fires? However, in Australia, we had Cronulla. In a dynamic city I have come to love as a tolerant and ethnically diverse place. I don't think any one place can call itself immune to the power of the people. Both the power of people to unite for the greater good but also the power of the disenfranchised to gang up and rail against The Establishment that they feel has done them so much wrong. And on that cheery note, I'm off to bed to catch up on some zzzzzzssss. Nighty night. I love my kitchen too, although it's old and slightly impractical:) But it's mine, and it's cosy. Whenever we have friends over for dinner, somehow we always end up in the kitchen! I could never quit coffee, altough it might be good for me to cut back, but I don't really like tea. I've yet to find one that doesn't taste mostly like boiled water and upset my stomach, so until then, I'll stick with my coffee! Thank you for the post, I have linked it on my blog. I have stopped drinking caffeine too....it has made me grumpy and I have had a few headaches which I do not normally get. I hope it will be worth it! Good luck, I am sure the Yoga will help. The riots are caused by opportunist kids stealing from large corporate companies and looting small individual family businesses aswell. They are apparently 'doing it for a laugh' and to get freebies. No cause or protest at the powers that be. Just wanton greed and criminality. I don't do well without caffeine. Hopefully the headaches will settle soon. I hear you on decaf. Tea is a much better option. Another caffeine eschew-er here!! At least in the form of carbonated drinks and coffee. I still drink tea (more now that it's really cold) but I often find a cup of hot water satisfies my craving for something warm. I try to keep my black tea consumption to one per day. I really don't like my kitchen - It needs a fantastic overhaul. Le sigh. I am a massive fan of Japanese curry too. So yummy, especially with brown rice or buckwheat soba noodles. Yum. The handcream reminds me I need to have a manicure. Long overdue. I'm terrible without caffeine, every now and then my naturopath puts me on medication that is counteracted by it and I have to stop cold turkey, it is awful. The hard thing is that it sneaks into all sorts of things, not just coffee and tea, but chocolate too! 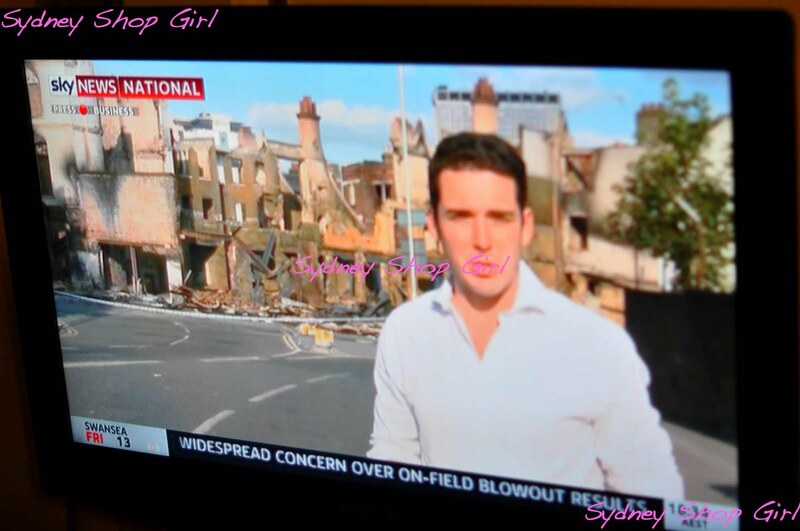 The riots are horrific, I've got friends in several affected areas, it is very scary getting their reports. I love the stories of the people coming out to help clean up though. 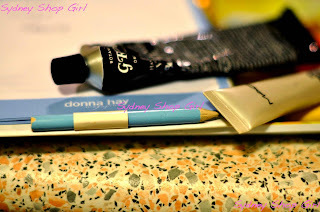 Im a recent new follower of your blog and love it! Any chance you could post the japanese curry receipe? I was recently given a slow cooker but most receipes I have found involve more than just throwing everything you have pre-cut the night before in before turning on and running out the door to work. Amy: there is no recipe the way I make it. I use a packet of curry mix, 500g of cubed gravy beef, chopped potatoes, carrots and onions plus 1 cup of water. That's it. I love my kitchen too - any time something social's happening at my house it always ends up around the kitchen bench. It is usually a bit cluttered though - I'm guilty of walking in the door and dumping whatever is in my hands onto the bench. I hope the riots in London stop soon - was heartening to see some areas 'taking back' their streets this week. It's so sad what is happening in London. I can't imagine how long it will last-although I was surprised at how long the Cronulla riots lasted!